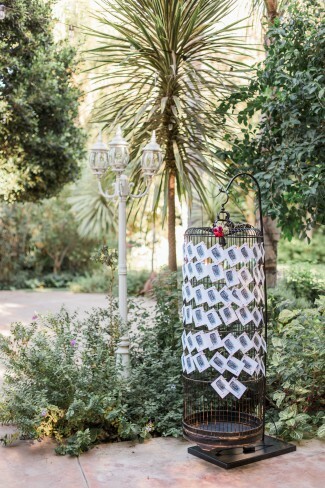 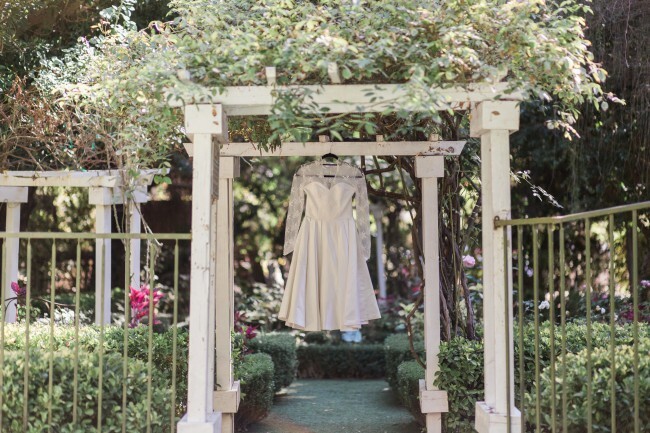 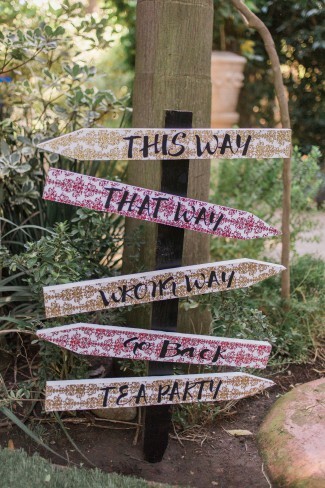 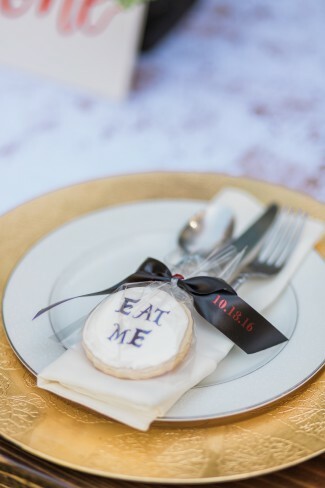 Photographer’s Comments: “An Alice in Wonderland inspired vintage tea party styled shoot took place in Somis, CA at the beautiful Hartley Botanica Gardens and Nursery. 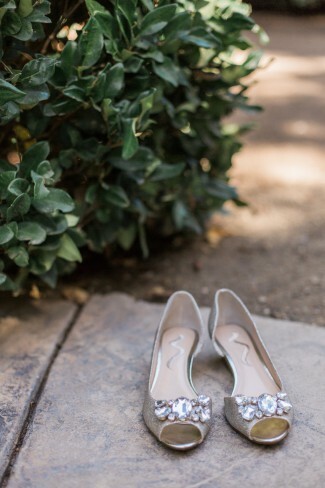 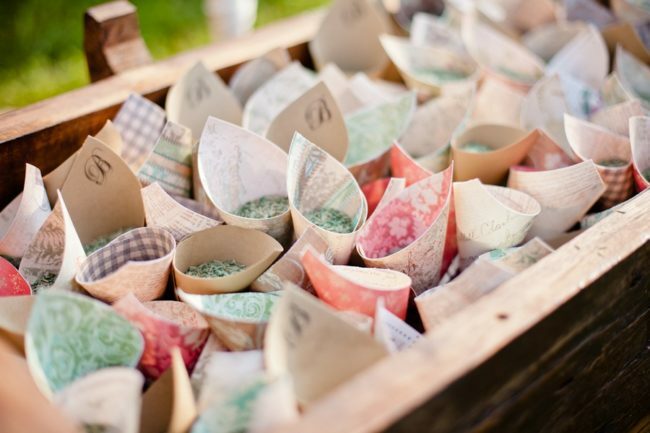 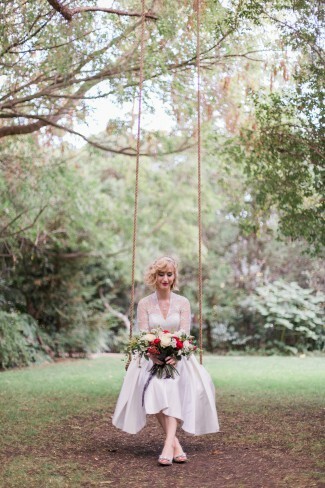 “Such a wonderful coming together of many wedding professionals in Ventura County, CA. 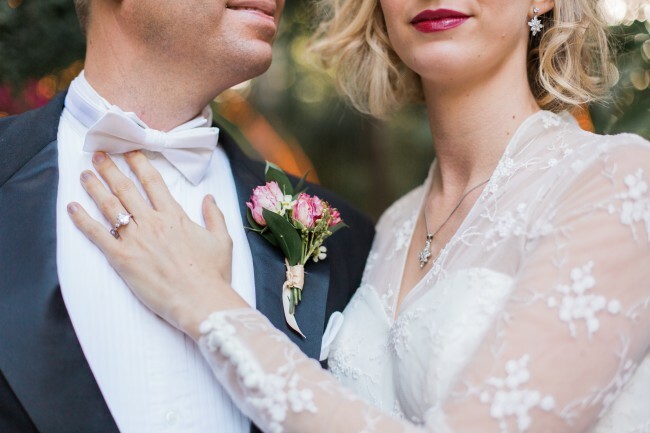 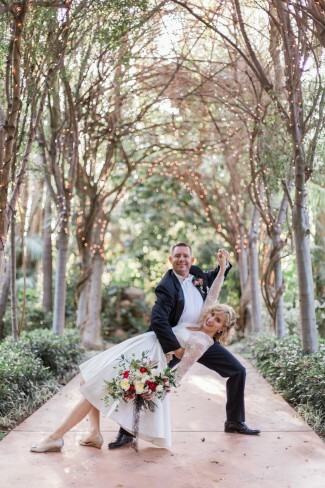 The couple is a real couple who met through a shared love of swing dancing. 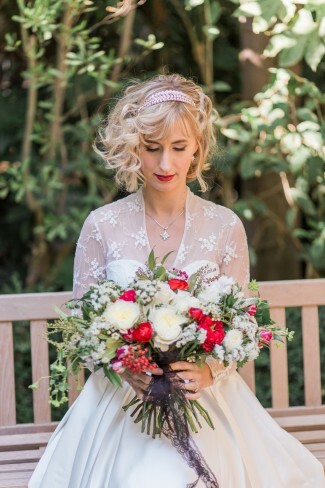 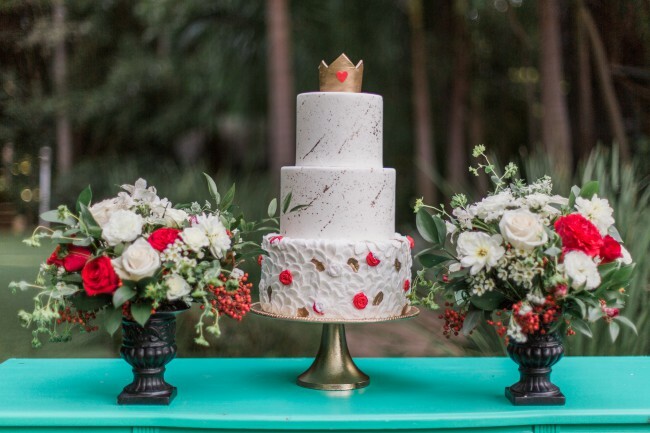 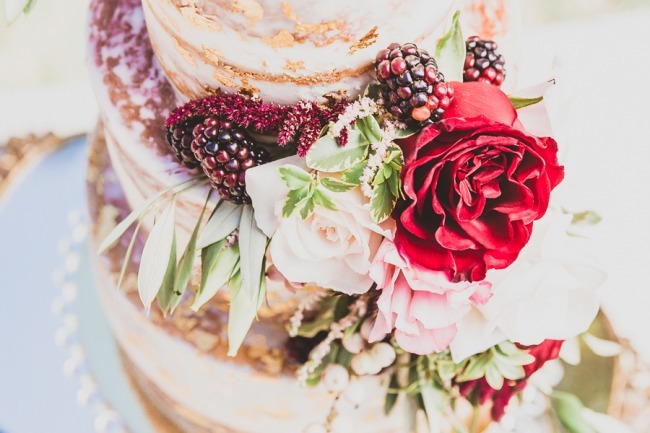 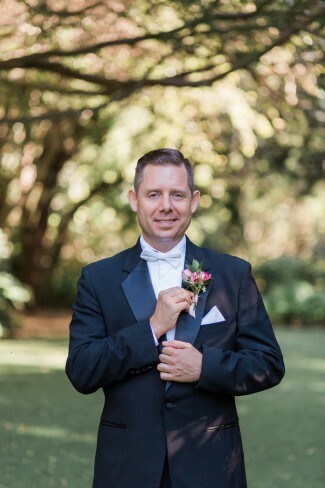 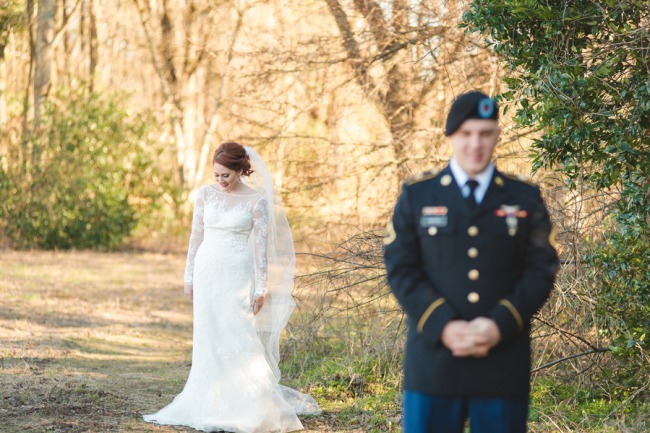 “We wanted to incorporate both the tea party theme of the bride wearing a tea length dress and quaint tablescapes, as well as the Alice in Wonderland ‘Queen of Hearts’ theme- with her tiara and crown wedding cake, and red accents in the flowers and details. 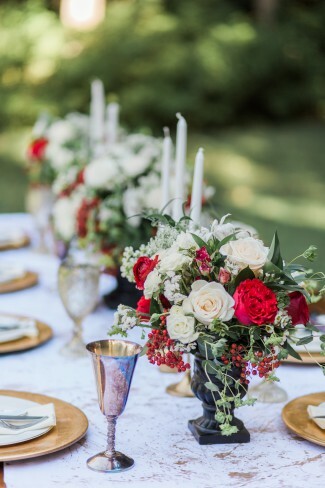 All decor was handmade and crafted by design professionals.